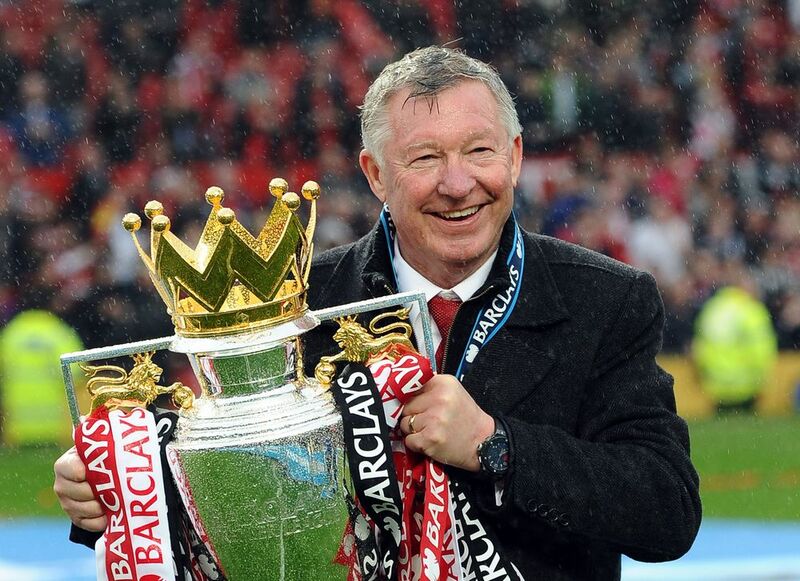 Sports Articles: And Finally... Alex Ferguson! For some reason lately I have had a spate of Liverpool fans asking me questions about Sir Alex Ferguson on the Liverpool Rumours site. I am not sure what has sparked the interest in him, but I thought I would do this article about him for now, until I get a chance to do a proper article about him, rather than just some anecdotes regarding him. Ferguson is characterised by most as a fiery Scot screaming in the face of his players, in what became known as 'the hairdryer treatment'. However that was something that he rarely used, less and less as the years went on. 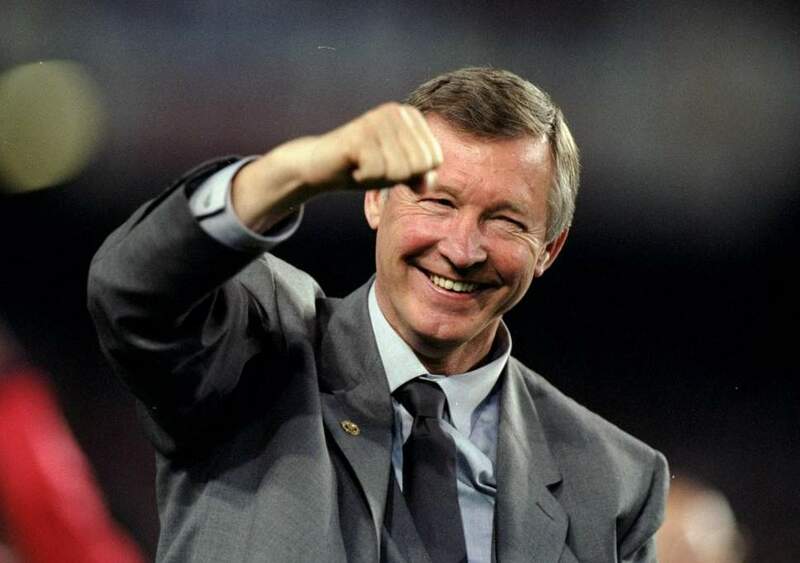 What Fergie did best was to make his players perform for him to their best, to make ordinary players into good ones, good ones into great and the group to work as a unit. One of his strengths, unlike most managers of his era, was his ability to treat all around him as individuals. From the tea lady to his star players, Ferguson knew them all by name and would treat each of them in the way he thought would bring the most out of them. Some of the younger players he would be like an overbearing father too, ensuring they stayed in line rather than got caught up in the wrong lifestyle, while others he game much more freedom too. The most obvious example was Eric Cantona. After studying the Frenchman training, Ferguson saw him as a good example to the youngsters in the club, as Cantona would arrive an hour early to begin his training and then stay back to work on things after training as well. In fact, it was he who inspired David Beckham to become so good at delivering free kicks after Cantona asked for a couple of youth teamers to help him practice his free kicks by fetching balls for him. An impressionable young Becks was so inspired by seeing Cantona's dedication firsthand that he would also put in many hours of extra practice on his own dead balls. Realising he could trust Cantona to live the right way and train hard on his own account, Ferguson became almost indulgent of the Frenchman. There is the famous story of a black tie event, which Ferguson had ordered the entire team to attend dressed accordingly. Lee Sharpe got a tongue lashing for wearing an olive green suit, and so pointed to Cantona, who had turned up in trainers and white shirt without a tie. All Ferguson did was gush about how great Cantona looked! Ferguson was, particularly in his later years, very much a benign dictator around the club, he had absolute power but he would use it for what he felt was the good of the staff who worked for him. Which is why he inspired such loyalty in most of his players. Take Michael Keane, now of Everton, for instance. He quit college to play for United's youth teams, which meant he was only being paid expenses, around £40 a week and Ferguson asked him how he was managing to continue his studies. When Keane told him he was paying tutors Fergie ordered him to his office and made Keane sit down and tell him how many hours and how much it cost. Ferguson then refunded all his costs and paid for the rest. While most people remember him as a man screaming abuse from the touchlines at officials that dared to give a decision against his team, he was very well known for being charismatic and giving witty comments in the right atmosphere. For instance he once described Ryan Giggs: "I remember the first time I saw him. He was 13 and just floated over the ground like a cocker spaniel chasing a piece of silver paper in the wind." Dennis Wise "could start a row in an empty house" according to Ferguson. When discussing the flying football boot that smacked David Beckham in the face: "If I tried it 100 or a million times it couldn't happen again. If I could, I would have carried on playing!" He also said of Gary Neville: "If he was an inch taller he'd be the best centre half in Britain. His father is 6ft 2in - I'd check the milkman." When asked by the media about 'Fortress Carrington' Man Utd's training ground with all its security, he replied: "It keeps those f***ers from the media out." He also suggested that Filippo Inzaghi "must have been born offside." One final story to end with was revealed by a writer called Jeremy Clay. Clay had been a reporter for the Leicester Mercury and there was an elderly lady called Alice who would turn up at the newspaper's offices to demand that he wrote stories about Manchester United. No matter how many times he pointed out that the publication was for stories about events in the Leicestershire region, the lady would not take no for an answer and would be back soon to harangue him once more. One day Clay asked around why an elderly lady from London living in Leicester was so intent on getting stories about a Manchester-based club in the paper. He found out that Alice was Man Utd's oldest living season ticket holder and that Alex Ferguson personally organised transport for Alice every weekend, so she could be sure to attend. Ferguson would send a minibus to Leicester to pick her up and to take her to Old Trafford and it would return her after each game. When her eyesight began to fail, she was well into her 90s by this time, Fergie offered to pay for the surgery. There was always so much more to Ferguson than a gum chewing shouty bloke on the sidelines who would force referees to play longer than they wanted in order to avoid abuse. Liverpool fans judge him on the comment about him wanting to knock the club off 'their f***ing perch' like it is an insult, when it should be seen as a compliment that he saw them as the team to beat. There is far more to Fergie than just the football and that is why it was Ferguson who Sir Kenny Dalglish asked to write the foreword to his first autobiography.